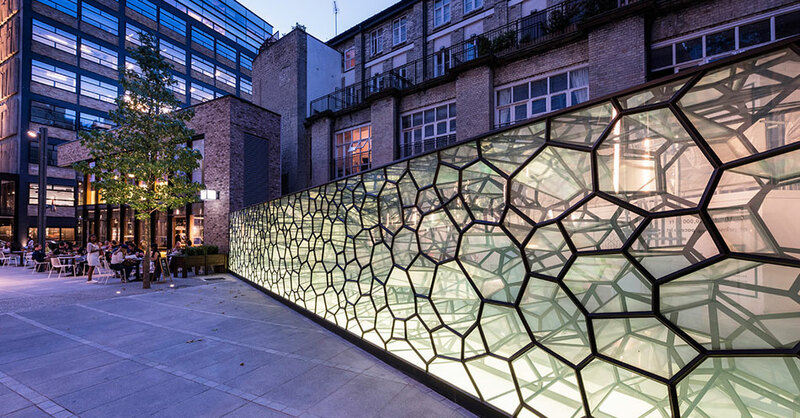 The two brothers, whose past work has been exhibited at the Victoria & Albert Museum and Museum of Modern Art (MoMA), have created a facetted stainless steel and glass installation inspired by the industrial aesthetic commonly associated with Shoreditch. 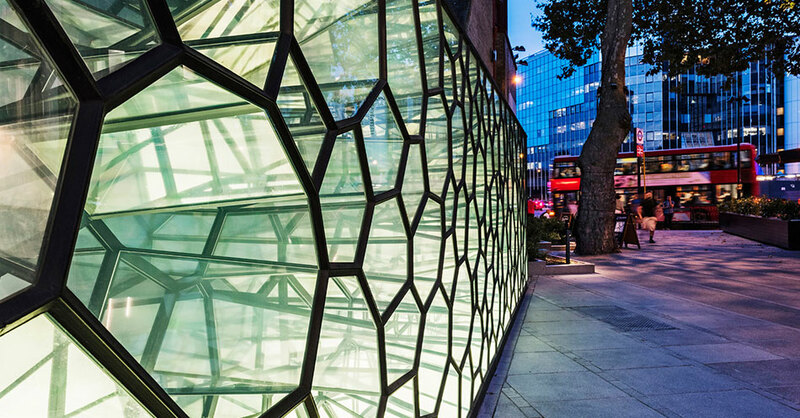 The Art Wall which is visible from Old Street roundabout at the City Road entrance to The Bower, was commissioned by Helical, the developer of the scheme. 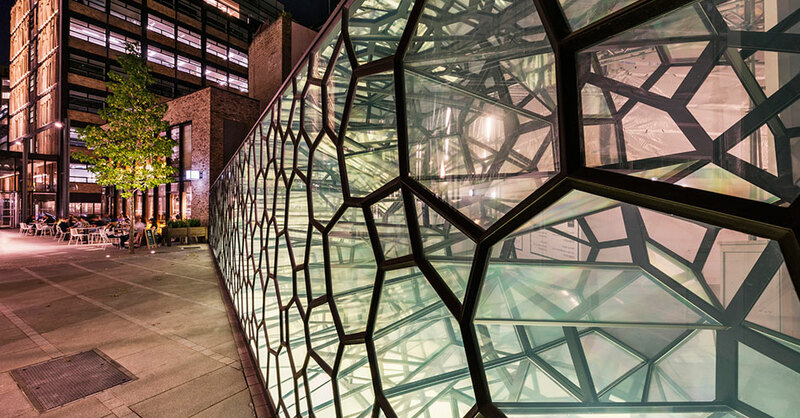 The Bower, a new office and retail quarter for Old Street, has opened up new public space and access between Old Street, City Road and Baldwin Street. 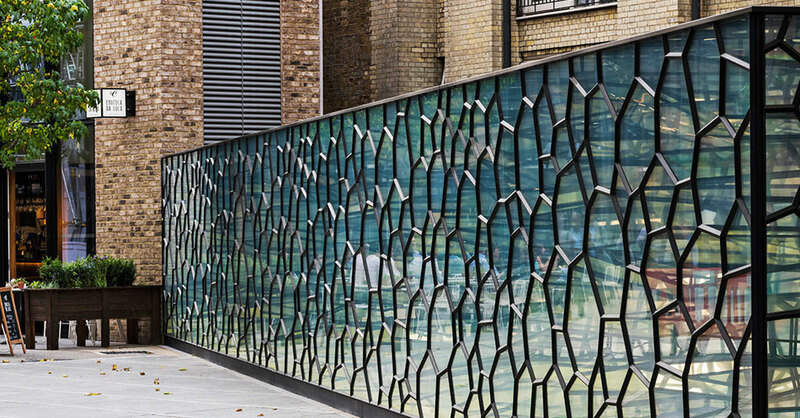 The Art Wall formally entitled Windows Of Time, is a 21m-long public landmark to celebrate the area’s local heritage, reflecting the organic shift in design aesthetic in East London over recent years. 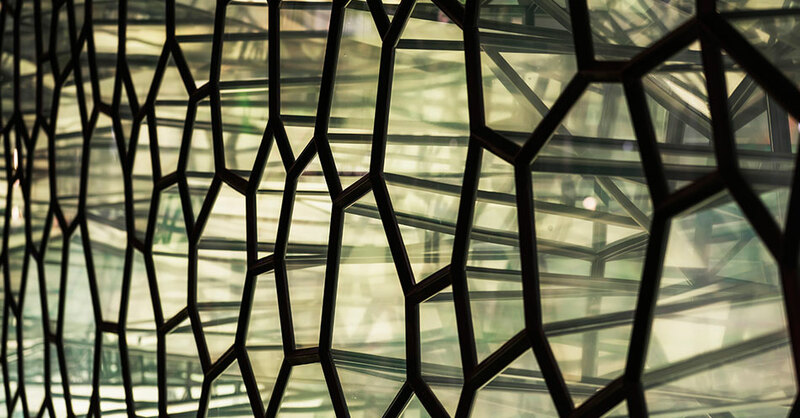 DeMakersVan took the classic crittal window commonly found in the area and warped the geometric form to create a dynamic 3-dimensional faceted structure, lit from within by LED panels. 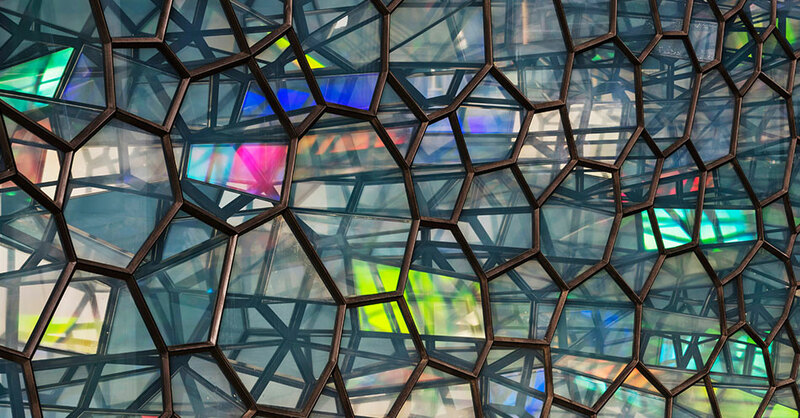 Mirrors on the interior reflect the white haze glass windows and rainbow effect glass panels to create an iridescent light display. The installation acts as a gateway to The Bower, an office and retail development with a range of restaurants, cafes bars including Bone Daddies, The Draft House, Enoteca da Luca, Honest Burger, Maki sushi bar, Good & Proper Tea and Franze & Evans.